Demand for Porsche is showing no signs of slowing down. 2016 continues to be a year of celebration for auto manufacturers. Joining the likes of McLaren and Lamborghini, Porsche is the latest manufacturer to enjoy a record-setting year of sales far exceeding the previous year. 2015 was a strong year for the sports car maker with 225,121 vehicles sold, which was a record at the time. However, in 2016 that figure rose to 237,778, resulting in a six percent increase. Impressively, every region has seen improvement, which is a testament to the consumer demand the prestigious brand can still bring. “Our strong product range has enabled us to once again exceed the high levels from the previous year”, says Oliver Blume, Chairman of the Executive Board of Porsche AG. “Porsche is synonymous with emotion and quality. The positive trend in the global markets confirms how enthusiastic our customers are.” However, he adds that exclusivity is more important to Porsche than sales targets. Detlev von Platen from Porsche’s Sales and Marketing team added: “the strength of the brand and the exceptionally motivated dealership network, which we have continued to expand” as another primary reason for the growth. Of the 237,778 vehicles sold, the largest chunk of sales was in Asia-Pacific, Africa and the Middle East, with 93,212 sales representing six percent growth over the previous year, followed by Europe which surpassed the previous year by five percent with 78,975 vehicles delivered. 54,280 units were sold in US, up by five percent, but China remains the fastest growing market, with sales rising from 58,009 in 2015 to 65,246 in 2016, resulting in a 12 percent gain. Porsche is attributing this success story to the mighty Macan, which cemented its position as its best-selling model with 95,642 vehicles delivered, representing a respectable 19 percent increase from 2015. 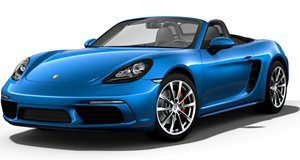 Elsewhere, the 718 Boxster also proved popular, exceeding last year’s sales by nine percent with 12,848 deliveries, while sales for the signature 911 rose to 32,409 models, up two percent on the previous year. No doubt Porsche will be praising the upcoming second-generation Panamera, due to launch in a matter of weeks, this time next year for having a similar effect on sales.